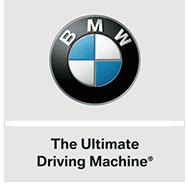 Shopping for a car just can’t get any easier, more convenient or more fun than BMW OF BLOOMFIELD. You’re about to ENJOY the best car buying experience you’ve ever had! Anyone who says shopping for a car can’t be fun, easy and convenient simply hasn’t been to BMW OF BLOOMFIELD. Just call and tell us what BMW model you’re interested in and we’ll bring the car right to your home so you can test drive it right from your driveway. And when it comes to servicing your new BMW, we’ll come to your house, drop off a loaner BMW, pick up your car and bring it back to you when it’s done.